The Boston Cooking School Cookbook, more popularly known as the Fannie Farmer cookbook, 1896. A glance at his kitchen bookshelf gave University of Washington Information School associate professor Joe Janes the idea for the latest installment of his Documents that Changed the World podcast. 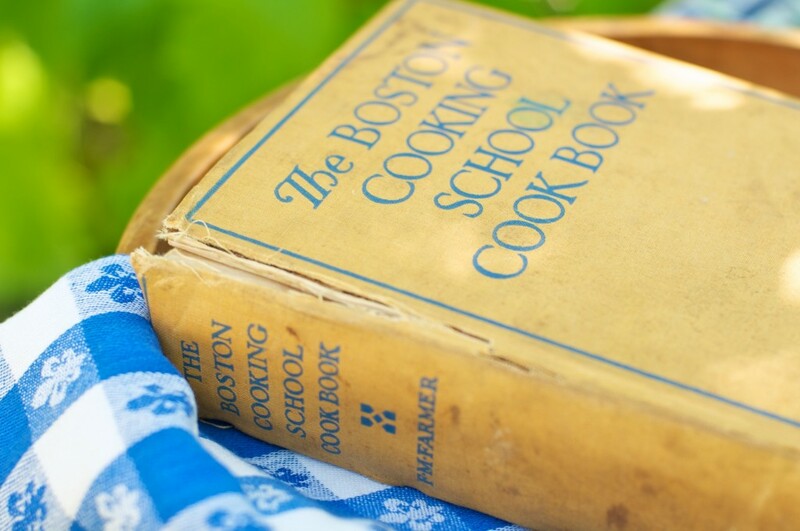 What he spied was his grandmother’s 1915 second edition of “The Boston Cooking-School Cookbook,” more popularly known as the Fannie Farmer Cookbook. By far the most famous cookbook of its era, it is a document, to be sure, that changed the world of food preparation. As Janes describes in the podcast, Farmer was of a piece with the “domestic science” movement of the early 20th century, which brought greater attention to food and nutrition to the quickly urbanizing country. She was 30 years old, a likely childhood polio survivor, when her employer paid for her enrollment in the Boston school with the hope she might become a teacher of cooking. “And did she ever,” Janes writes. Asked to stay after graduation, Farmer took over the school and ran it for five years before starting her own. She published her first cookbook in 1896, containing some 1,800 recipes. Publisher Little, Brown lacked confidence in the work and made Farmer pay for printing the first run of 3,000 copies. She wisely retained the copyright, however, bringing her a handsome profit as the book went on to sell in the millions. Farmer’s stated aim, Janes notes, was “to elevate cookery to its proper place as a science and an art.” And in that, she succeeded magnificently.